China is going to ban the use of five more insecticides, following international agreements and the own efforts in making agriculture more sustainable and safe for people and environment. The ban will be effective throughout the year 2019 and shows the orientation to low-toxic and low-residue pesticides in China’s market. 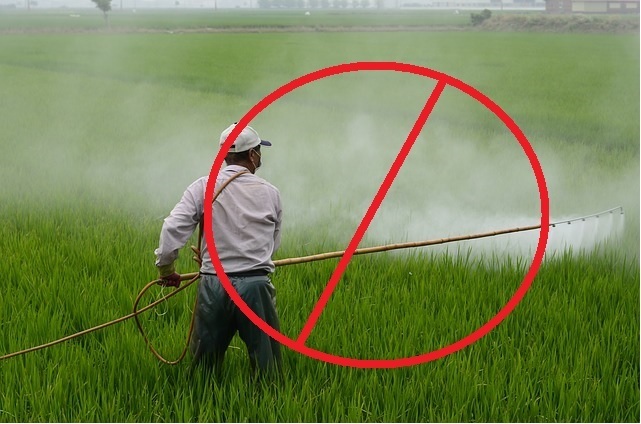 China’s Ministry of Agriculture has announced to ban or restrict five more insecticides for the use on specific crops. The release is following the New Regulations on Pesticide Administration, which supports better pesticides safety and health care for China’s pesticides market. The five mentioned insecticides with restricted or prohibited use in the future are endosulfan, methyl bromide, acephate, carbosulfan, and dimethoate. China is the world’s leading pesticide producer and also one of the largest consumers of pesticides. Many farmers are lacking the education and training for using pesticides efficiently, which causes severe overuse of pesticides as well as the wrong application of those. Hence, China’s farmlands and crops are enduring severe damage, which the government tries to stop by getting strict on pesticides regulations and application. A good example is the newly announces changes in regulations of China’s pesticides administration. The new regulation will come into effect on June 1, 2017, and are going to restrict the use of any pesticides only on the mentioned crops in the regulations. Also, the registration process will be simplified, as local authorities are getting more power but also more duties to get China’s pesticides market healthier and more sustainable. 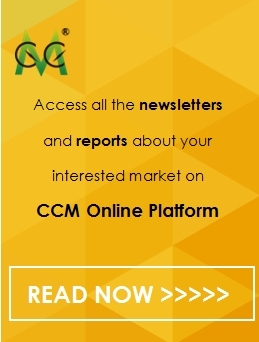 According to market intelligence firm CCM, the new announcements for banning several insecticides is not the first step in the direction of stricter control of insecticides in China. Before May 12, 2017, the Ministry of Agriculture has already restricted the use of 25 pesticides, of whose many insecticides are taking part. This acaricide insecticide was already banned by the Stockholm Convention in the middle of 2012 for worldwide use, which allowed up to five more years of usage under certain restrictions. While many nations as the European Union, the USA, Australia, and New Zealand already banned it several years ago, it is still actively used in countries like China and India. Endosulfan is known for acute toxicity, which is dangerous for human wealth and the environment. According to CCM, the agricultural use of this insecticide will be prohibited from the end of March 2019 onwards. Methyl bromide, also known as bromomethane, was already being phased out by a large number of countries in the beginning of the 2,000s. It is furthermore phased out because of the highly destructive effect on the ozone layer. The agricultural use of this insecticide will end at the end of 2018. Acephate is commonly used against aphids to protect vegetables and horticulture. The insecticide is still widely used but has several restrictions for the scope of usage in most of the countries. Because carbosulfan was detected for causing severe health risks for human, the European Union already banned the insecticide in 2007 of any use. This pesticide is commonly used as insecticide and acaricide. The huge danger of it occurs from the disabling of cholinesterase, which is an important enzyme for the central nervous system. What’s more, the Australian authorities have cancelled a ban on dimethoate, which was reviewed for 13 years. It was suspended in 2011, which was cancelled in early May 2017 again. However, the insecticide still remains restricted and banned for certain kinds of crops. The use of acephate, carbosulfan, as well as dimethoate in China, will be heavily restricted from the middle of 2019 onwards. Neonicotinoid insecticides are the most used insecticides worldwide. However, the connection of these pesticides to the death rate of bees has caused fierce discussion whether to allow the usage or limit it. The European Food Safety Authority, for example, has proposed to change the labelling of these insecticides to high acute risks for bees. The proposal now is handed to the EU member states which have to decide whether neonicotinoid is going to be banned for Europe’s field crops. A temporary ban in the EU is already active since 2013, which prohibits the use on flowering crops. However, since Europe would be the first region with a ban on these insecticides, opponents of the proposal are warning of a loss of competition for European farmers and a danger for sustainable food planting. The Council of Agriculture of Taiwan has banned the use of three insecticides, which will come into effect in the near future, according to Taipei Times. The three insecticides, which are going to be banned, are imidacloprid, thiamethoxam, and clothianidin. They are banned for the use on litchi and longan fruits for a duration of 2 years. The reason for the decision is a high death rate of bee populations claimed by beekeepers which are close to areas of high insecticides usage. After some research, the connection of the insecticides to the bee death rate could not be supported, but the Council announced the ban anyway, expectedly to satisfy the complaining beekeepers. The ban of a growing number of pesticides is caused by the fact, that some of diseases for humans are strongly connected to manufacturers pesticides available in the agrochemicals market. Some of the diseases, among others, that have been linked to negative effects of pesticides, are autism, cancer, diabetes, asthma, and Alzheimer. What's more, pesticides do not only affect the surface they are applied on and the ground water underneath, but also can be transported by air to other areas, where they cause severe damage to health and safety. Hence, the pesticides industry is setting the focus more than ever to develop and produce biopesticides as well as low hazardous and low lasting pesticides for safer usage. CCM is the leading market intelligence provider for China’s agriculture, chemicals, food & ingredients and life science markets. Do you want to find out more about the pesticides market in China? Try our Newsletters and Industrial Reports or join our professional online platform today and get insights in Reports, Newsletter, and Market Data at one place. For more trade information of pesticides, including Import and Export analysis as well as Manufacturer to Buyer Tracking, contact our experts in trade analysis to get your answers today. Looking for a convenient way to get comprehensive and actual information as well as a platform to discuss with peers about the latest agrochemicals industry and market trends? Simply join our groups on LinkedIn and Facebook.